Collection of the best WordPress themes for hotels, hostels, resorts, B&B or any other type of online project requiring online booking and reservations. An amazing template specifically crafted for hotels and various resorts. It has a well-balanced design and robust structure that will meet all your requirements. In order to provide your guests with the greatest booking process, you will not need to apply lots of efforts. It is no doubt that a perfect hotel website needs to have a fully-fledged booking functionality. Thanks to a marvelous plugin, everything will become much simpler, quicker, and more secure than ever. It is also important to make the first impression on your potential customers. It will be possible to do by using eye-catching galleries. These fully-customizable galleries enable to showcase different types of images anywhere on your website. You can also take advantage of the amazing menu plugin. In allows presenting all possible dishes that can be tasted in your hotel restaurant. As you can understand, this will become an essential piece of functionality for your online-presentation. If you want to make some adjustments in the website appearance, you just need to use a feature-rich WordPress Live Customizer. You do not require to possess coding knowledge in order to apply changes to your design. There are also multiple layout options that you can choose from. Furthermore, you will be happy to get various additional plugins and widgets. Among them, you can take advantage of the powerful table booking, team review, testimonials, about pages, and so on and so forth. As you may know, people have a tendency to browse the Internet using different kinds of devices. Your future online-project can be visited from smartphones, laptops, and other gadgets. Do not forget about using some modern Google Fonts from their huge collection included in the package. By the way, you can also post some information about the latest events thanks to a wonderful blog functionality. Paradise Cove is a professional hotel WordPress theme with all the essential features you can ever need while creating hotel website. For the first impression, there are multiple slider types which allows to add great full screen animations with custom text etc. Icon fonts are another feature which play its role right under a slider. They look very trendy and professional. Another amazing feature is special weather widget which shows local weather information of different destinations. Pretty handy for hotel website right? Template has built-in layouts which will save you plenty of time while getting the website done. Most important feature is reservation system which is on high level. It allows you to receive reservation requests in WP admin or by using a module. 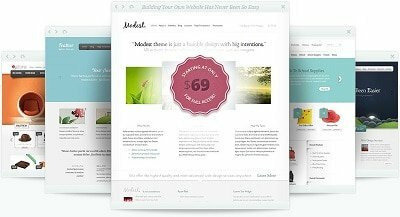 Themefuse offers an amazing option of trying a template for FREE in their testing area. Feel free to jump on their website and install it for few days and try it out. Make sure you follow good tips on how to optimize hotel website to drive direct bookings. Solaz is a unique theme that caters specifically hotels, motels, hostels, lodges, inns, beds and breakfasts and other types of accommodations. The colors and layouts create the feeling of coziness that enchants the visitors and makes them want to book the accommodation right away. It showcases your luxurious or humble accommodation facilities in a way that it has been never done before. The visitors will feel welcomed and impressed by your professional room service and offerings. Its features are specifically designed for booking of rooms, it enables you to do hotel management, room management. Different pricing plan options, multiple layouts for room lists and room pages, a reservation page, a checkout page and multiple payment options as well. Its mobile responsive, with multiple footer and header options, multiple layouts for gallery, blogs or any other types of pages. It is immensely easy to configure and of course integrate with woocommerce. It includes over 50$ worth of plugins and add-ons, it has one of the most powerful admin panels and one-click installation option. Unlimited colors and fonts to impress the visitor. MailChimp and Contact form 7 integrated make follow up effortless. Solaz is here to cater to every single one of your needs. It is a theme you won’t regret installing and your bookings will skyrocket because of its powerful intuitive design. What are you waiting for? Get your Solaz WordPress theme before its too late and save yourself a lifetime of regrets! High-quality WordPress theme for hotels with room reservations. The booking system is advanced and allows you to browse currently available rooms. You can also re-choose parameters and your page doesn’t refresh, thanks to ajax feature. You can add coupon options, such as coupon codes, amounts, expiration dates, different types of discounts (percentage/amount). All the payment options are included or you can book via email as well. What else? Other TOP features are included, such as, master slider, page builder, importer, white/dark demo, 3 room layouts, WMPL, woocommerce and much more. Template was released by power elite author from ThemeForest. Good layers has made more than 1500 sales of Hotel Master in almost half a year. If you do business with them, you can be quite sure about the quality of support, updates and their products. I always highly recommend templates provided by highly reputable and trusted authors. Your hotel needs quality online presence which can this template offer for sure! Hotelia is just another great product by Tesla Themes. These guys know what people need and what is popular. Hotelia is a modern and fully functional WordPress themes suitable for hotel/motel environment, events websites or personal travel blog. The final outlook of this hotel oriented themes is elegant and polished. It comes with many cool and useful tools integrated and for free and it is compatible with most of the important and popular WordPress plugins. Hotelia is definitely a good choice is you are just about to start a hotel/motel business or if you are in need to refresh your old website. Right out of the box you get two premium and remarkably effective plugins in the total value of $49 completely for free. Visual Composer – the worlds best drag & drop WordPress page builder and Revolution Slider – prolific and most popular slider tool in the WordPress world. Both plugins are fully integrated and are the main building force of Hotelia. A very strong and powerful duo – and user-friendly which is very important. Without previous coding experience, one can build a solid looking and impressive website. Hotelia is fully compatible with WooCommerce which is the most popular eCommerce plugin for WordPress. Set up your online store, manage customers, make inventories, define shipping policy, add or modify products and much more. Through powerful administration tool control, manage and change to look and functionality of theme. Theme comes with the booking system, google fonts, vector icons, sticky navigation menu, infinite color combination and more. As with all other themes by Tesla Themes you’ll get access to extensive and comprehensive HTML documentation. If this is still not enough submit a ticket to a dedicated professional support team. Hoteliour is PRO WordPress theme for creating hotel websites with booking system. Theme suits different types of hospitality sectors, such as Hotels, B&Bs, Inns, Guesthouses or Hostels. With modern booking system, you can sell / reserve rooms according to availability straight on your website. Admin panel of your website is connected to reservation form and everything is pretty much automated. You can place reservation form anywhere on your website just by adding the simple shortcode. Booking form is very easy and reservation will take your visitors only a few seconds. Hoteliour comes with professional room showcase pages where you can present your services to your visitors. Template is multilingual what means you can have your website and admin in 18 different languages. Hoteliour is easy to build a template and comes with bunch of amazing features, such as, filters, availability calendar, HTML emails, payment gateways, demo data import, statistics, booing modification, automatic approvals etc. It’s very well documented, regularly updated and comes with professional technical support. Make sure you try live preview and check everything before your purchase decisions. It will save you a lot of time when you know there is nothing missing for your web project. Feel free to submit it a pre-sale question, guys from aitthemes.club will provide you with all the details or future update plans. Sailing is a hotel environment oriented WordPress theme. It’s stunningly elegant design is the best type of presentation you can possibly dream off. Whatever you are running hotel, hostel, resort or any other type of accommodation Sailing comes handy with all the features it contains. Big plus is an excellent and easy to maintain booking online reservation management system. WP Hotel Booking plugin created by ThimPress helps you took over the control over rooms, bookings, special deals, promotions, coupons, seasonal pricing plans, customers management, payments and much more. Sailing supports WooCommerce plugin, a perfect integration that allows you to sell goods online. The theme comes with five stunning demos of home pages available, lovely About Us and Gallery pages attracts on the first sight. The best thing is the one-click import feature. That by itself saves you tons of time so you can stay focused on customizing the final look. Included in package is a well-known powerful and favorite Revolution Slider plugin. A premium plugin in total cost of $19 allows you to create mind-blowing sliders. With the help of other great plugin SiteOrigin (versatile and responsive drag & drop page builder) the creation process is very easy. Everything comes ready to use out of box it is only up to you and your imagination how you are going to handle it. The code of Sailing is written in a way to achieve only the best SEO results. The template is fast and easy to work with. With purchase, you get access to documentation and availability to contact support team 24/7. Holiday is professional WordPress theme for creating a hotel website with a custom booking system. You can use for different types of accommodation, such as, hostel, motel, resort, B&B etc. With Holiday theme you can categorize your rooms with different filters for a better user experience which your visitor will definitely appreciate. Booking for builder offers you to add your custom reservation fields with text, email, number, checkboxes or radio buttons etc. Through PRO booking database you can enter all reservations and manage your clients’ bookings. What else? Theme comes with standard features, such as, 100% responsivity, WPML translations compatibility, adaptive widgets, 500+ google fonts, child theme, ultimate branding options, video support etc. Theme is also woocommerce compatibly what means you can create eshop in your theme and sell additional products or services right through your website. In this industry, you can add plenty of stuff, such as, trips, city services, tours, sports activities etc. Holiday theme is very easy to customize and it’s quite easy to get the job done and build your website. You don’t need any special experience, just a couple of high-resolution photos of your hotel! Visit live demo and enjoy your holiday! Belleeveu WP theme for hotels with a bunch of great features will make your life easier when aiming for a complete website with bookings and reservations. Another template for building a website an of a luxury hotel in WordPress. Soho is one of the most popular themes in its category on ThemeForest. It comes with advanced booking/reservation system. You can use amazing booking features, such as, PayPal deposits or room availability checker which is connected to the booking plugin and that makes sure there won’t be any booking conflicts. Template comes with 4 different color schemes and 19 PSD files included. This will for sure help you with designing of your layouts. What else? Soho comes with other awesome features, such as seasonal pricing filters, simple 4 step booking, adult and child prices, guest occupancy limit, custom booking messages, WPML ready, sending booking emails etc. As you can see Soho is super advanced and it’s worth to try it out in the live preview. Template is pretty easy to build and documentation is very detailed. No coding skills are needed to get a job done! Hotec is a popular WordPress template for hotels, spa or resort website. Template is fully responsive and compatible with all types of web browsing devices and web browsers. Hotec also comes with drag and drop page builder which can make anybody PRO web designer. Super easy tool for building layouts! Hotec comes with other premium features, such as unlimited sidebars and colors, 500+ google fonts, social integration, translations, 4 homepage demos (hotel, ski resort, business and spa), etc. There are 2 premium plugins included in the package for FREE. Revolution and layer sliders will save you $30 straight away. Most important hotel features are on a high level. Reservations and events are functional and ready for your future clients. Template is being constantly updated with the newest / trendy features and updates. Developers are putting a lot of effort to keep it up to date. Another beautiful hotel template for WordPress platform which you can use for promotion of any type of project in hospitality. Attract your online visitors and convince to book your place! Template is fully responsive and ready to get reservations from any type of device and internet browser. Template has been released by guys from cssigniter, team which offers PRO support for all of their themes. All of their themes are SEO optimized, translation ready, constantly updated and speed optimized! The pricing of cssigniter is very reasonable and I would definitely recommend buying membership not just singe hotel theme (in case you’re web designer). Their templates will be very handy for young in the feature. Santorini resort theme comes with detailed online documentation which will guide throughout the whole process and you won’t get confused if you follow it precisely. Make sure you visit live demo before your purchase and check out every detail about the template. But on the other side, you have 30 days money guarantee so feel free to jump, purchase and try it out! You have nothing to lose. Follow some tips on online visibility for independent hotels. Hotelengine is very elegant and professional hotel WordPress theme read for you hospitality business. Template’s design is very clean and simple and that’s what makes it to look so PRO. Booking form is built-in for your visitors who can simply make a reservation in couple of seconds. Template comes with it’s own style customizer which saves you time by allowing to do changes of appearance right on the homepage. Everything related to designs, setting up layouts and adding content is pretty easy. It means you don’t need any skills with codes. Hotelengine is responsive and that means you can load template on any type of browsing device (mobile, tablet, desktop) and any online web browser. Template comes with a bunch of other features, such as, unlimited sidebars, translation support, SEO optimization, front page slider, etc. Template comes with regular updates and documentation. Add your license code in and get a notification about the newest update. Leisure is new & modern hotel WordPress theme suitable for different types of resorts, such as, spa, golf, ski etc. Template has been rocking on ThemeForest lately and it’s trusted by 800+ hotel websites worldwide! Quite a number. It’s packed with cool features, such as header text, multi navigation, nifty booking forms, weather feature, demo content, SEO optimization, ilightbox, smart search etc. Bunch of premium features which save you more than 60 bucks are included. Simple weather, revolution slider and visual composer are part of the package and come for FREE. Author CurlyThemes is one of the elite authors and I can ensure you about quality of their support. They put a lot of effort in solving bugs and helping along with developing constant new updates with fixes and extensions. Visit Leisure theme live preview for real experience of your future visitors and eventually potential customers. One of the newest templates of this collection is called Bellevue and it’s been one of the bestsellers between hotel booking WordPress themes on ThemeForest. Best for vacation houses, rentals, cabins, chalets, beach houses and of course. Hotels Website Templates comes with smart booking system and availability calendar solution. Bellevue is packed with a bunch of great features, such as, WP booking plugin, master slider, 5 full pre-designed demos, woocommerce, WPML, 50+ PSD files with designs etc. Premium plugins worth of $54 comes for free within a package. Template is fully responsive, mobile friendly and ready for any web browser. Full list of features you can find in items page where you can also get link to live preview of all pre-designed demo version. You’ll definitely find one just perfect for your project. Once you on item’s page, feel FREE to submit any type of pre-sale question. There might be new feature coming in next update which will convince you to grab one copy for you. Enjoy building your hotel website. Nice Hotel theme is a luxury solution for any type of hotel, hostel, spa or any other type of business which requires an online booking system.The templatee comes wit 4 PRO skins which you can easily setup or on the other side, you can create your own. Accommodation manager feature helps you to add description and images very easily to your rooms or services subpages. Booking Wizard feature is manager of reservations which sends bookings straight to your email box. Theme comes with bunch of other features, such as, events management, testimonials management, WPML optimization, 100% responsivity, demo data import etc. Theme comes with very easy customization which can in fact save you plenty of hours. Make sure your hotel website looks PRO and nothing is missing because that might cost you a lot. Hermes is one of the best hotel WP themes you can find around the internet. 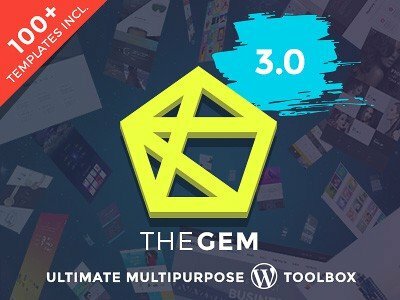 Theme has been released by one of the power elite authors on ThemeForest. ThemeGoods team is trusted by 93,000+ customers, no words needed! You’re dealing here with PRO work. Back to theme! It comes with bunch of cool features, such as, unlimited colors, 3 different portfolio styles, 7 custom widgets, 4 footer sidebars, different pages layout styles, media shortcodes etc. It’s pretty easy to build, thanks to drag & drop homepage content manager. You can easily setup and test your homepage via admin. Site is pretty well SEO optimized. SEO plugin is built-in, site speed optimized and CSS and JS compresed. For perfect SEO strategy heck some tips on how to create great content on your hotel website. Theme comes with FREE documentation, support and regular updates. Everything is part of your package which costs you only $49. Feel free to contact author with pre-sale questions before you make a purchase. I hope this collection of most popular hotel WordPress themes has been useful for you and helped you find solution for you online project. Templates contain different types of online booking/reservation systems. Make sure you check functionality before you make a purchase in order to avoid any issues! 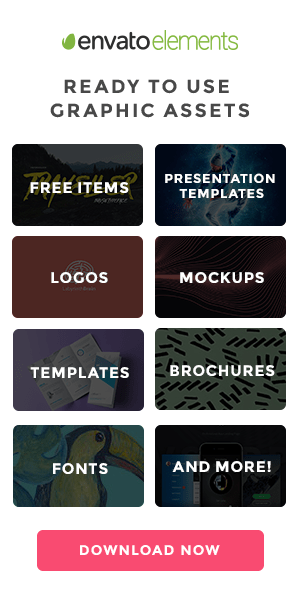 All themes in this collection are premium templates, what means they all come with professional and free documentation, updates and support. I am looking for theme that should have resort classified and resort booking functionality. So basically my theme should be mix of resort classified website and Resort booking system. Please suggest any suitable theme for my requirements. thanks for suggestion. we’ll consider for the next update.